Twiggy's Treasures has just added a new line to our Store! 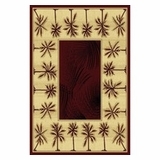 We have beautiful Bahamas Rugs that are made in Turkey with 100% polypropylene heat set yarn. The materials used for the rug is 100% polypropylene heat set yarn and made in Turkey. 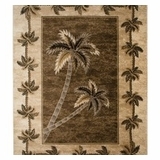 We can ship this beautiful Bahamas Rug to you FREE in the lower 48 states. 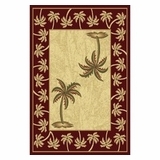 These beautiful palm tree rugs are available in different shapes, sizes,and color.